American MFG builds the people who build the communities, which in turn build futures far beyond themselves. 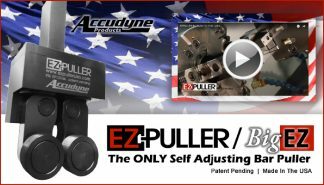 Being an American manufacturer means far more than just building quality USA made products…it means supporting Americans and the American Dream. Each one of us can make a difference, but together we can make a change. Metal Fabricating Machines are Built Tough with American Craftsmanship for 50 Years Metal Fabricating Machinery-Ironworkers & Circular Saws-50 Years American Made Proudly made in the USA in Philip, SD, Scotchman Industries has been manufacturing the most versatile and dependable metal fabricating tools on the market for half a century. Easily punch, shear, and notch metal with a Scotchman ironworker, delivering consistent results for higher quality fabricated parts. Cut, slot or notch on a Scotchman Circular Cold Saw for burr-free, high quality, volume parts. 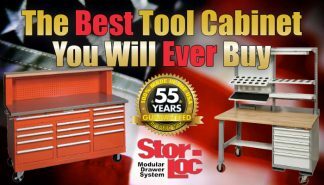 These powerful American-made machines are built to last and are perfect for any fabrication shop. Scotchman manufactures full line of ironworkers and cold saws to accommodate your shop’s needs. A purchase of Scotchman guarantees you are receiving the highest quality product available, always backed by our outstanding 3-year warranty and first-class customer service. Thank you for supporting American manufacturing Metal fabricators worldwide choose Scotchman for the QUALITY, POWER, DEPENDABILITY and VERSATILITY of our products. Scotchman equipment is so versatile that it can be found in small, one-man fabricating garages to fortune 500 companies. Scotchman takes pride in their products and strives to see that each piece of equipment that leaves their factory has the quality and service you expect from Scotchman. Scotchman is the Solution Preferred by Metal Fabricators. Let Scotchman be your metal fabricating solution. American Manufacturer of Hydraulic Ironworkers, Circular Cold Saws, and other metal fabricating machinery.